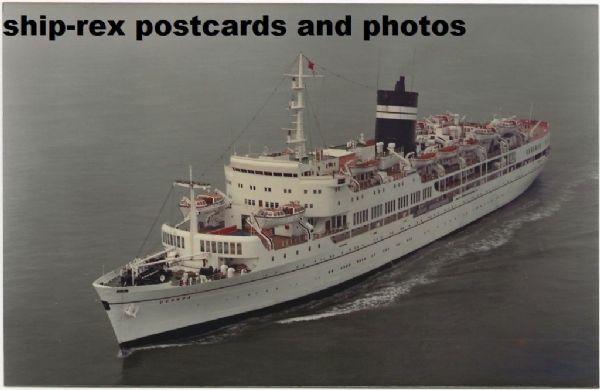 Built by Barclay Curle & Co as Uganda for British India, from 1952 to 1967 she served as a passenger liner on the London to East Africa service. 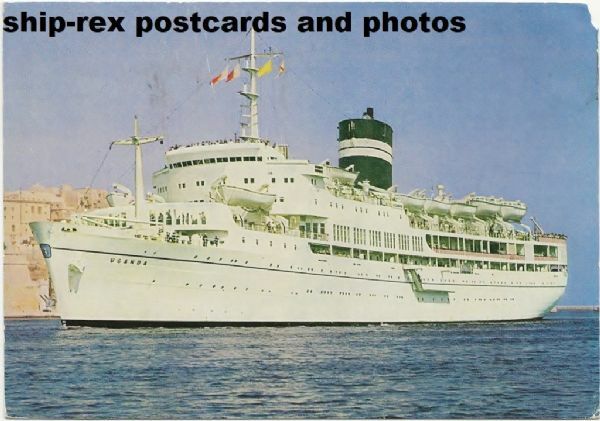 In 1968 she was rebuilt as an educational cruise ship, catering for parties of school children as well as passengers. 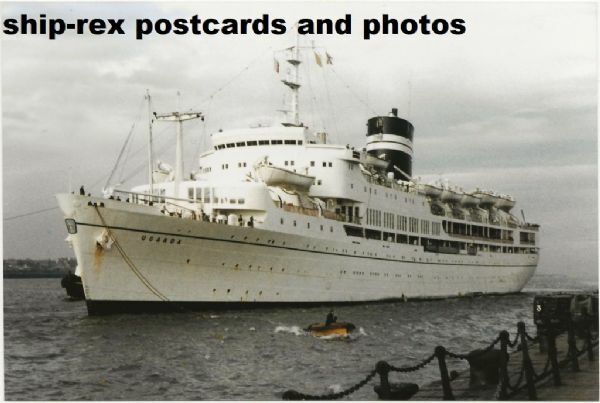 In 1982 she was called up as a hospital ship during the Falklands crisis and after a brief return to cruising, she returned to duty as a troopship in 1983. 2 years later she was laid up on the River Fal before being sold to breakers in Taiwan, renamed Triton. 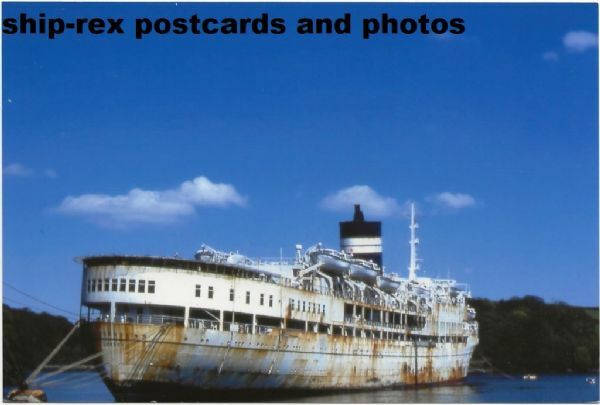 However after being blown ashore by a typhoon it was not until 1992 that she was finally broken up.